projectM is an LGPL'ed reimplementation of Milkdrop under OpenGL. projectM is an LGPL'ed reimplementation of Milkdrop under OpenGL. All projectM requires is a video card with 3D acceleration and your favorite music. its also available on windows, not as a standalone application, but via media players, two examples are Clementine and winamp (as a plugin). projectM was added by naught101 in May 2015 and the latest update was made in Jan 2019. The list of alternatives was updated Apr 2019 There is a history of all activites on projectM in our Activity Log. It's possible to update the information on projectM or report it as discontinued, duplicated or spam. Discontinued The program seems to be no longer updated. Last version, v2.5.1.3, released in December 2016, can be still downloaded from the official website. Kauna is a music visualizer. Kauna renders any sound reproduction in system. It can also capture audio from a microphone. Lightweight music player with a highly configurable visualizer that can export music videos. G-Force is a music visualizer for media players that can also visualize auxiliary or "line-in" audio. Luminant Music is a music streamer and player that lets you visualizer music with gorgeous 3D scenes. 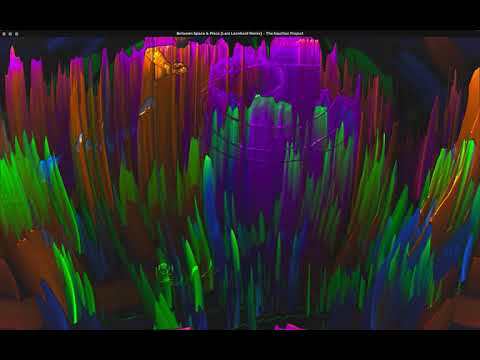 Breathtaking music visualizer for Windows with VR support and scores of surreal, hi-tech scenes. Visualisator 5000 is an awesome Music Visualisation App for your Android phone or tablet!. BeatDrop Music Visualizer is a stand-alone implementation of the amazing Milkdrop2 Winamp plug-in. Alternatives to projectM for Windows, Android, Winamp, Mac, iPhone and more. Filter by license to discover only free or Open Source alternatives. This list contains a total of 17 apps similar to projectM. No reviews yet for projectM, want to be first? Maybe you want to be the first to submit a comment about projectM? Just click the button up to your right!